Extensive investigations conducted by Benilubero Online are progressively establishing a very logical link between the massacres of Ituri and those of Beni, and from the outset it is safe to say that the tragedy of Ituri as lived these days is only the continuity of the official terrorism that sinks the north-east and the center of the Beni territory for almost four years. 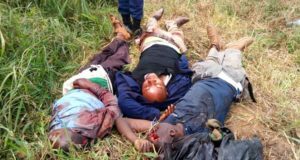 The control of the flow of blood flowing in the territory of Djugu and that of Beni is held in execution by the same person; it is the FARDC officer who has already been denounced many times, General Akili Muhindo alias Mundos. However, wanting to operate this time in the shadows, the latter managed, with the complicity of the military house to find a substitute who must execute the extension of the plan of extermination in Ituri, in the person of Major Marie -Paul. This man who has become the legate of General Mundos in Ituri is an ex-M23. Yet at the time when the M23 was operating as a rebellion in North Kivu, Marie-Paul was not a military agent; he was simply part of the civilian cadre of this rebel political-military movement. After the defeat of the M23 in November 2013, he found asylum in Uganda, where many Congolese refugees testify to his prolonged stay among others in Kampala and his active presence in the relentless network of this rebellion from countries of asylum, Uganda and Rwanda. Marie-Paul is one of those ex-M23 that Kinshasa has quietly recovered since August of 2017, and which have been recycled to put on FARDC uniforms, in order to serve the power in the repression and massacres of civilians. Benilubero Online was careful to describe the passage in the city of Kisangani and their endowment to the public. 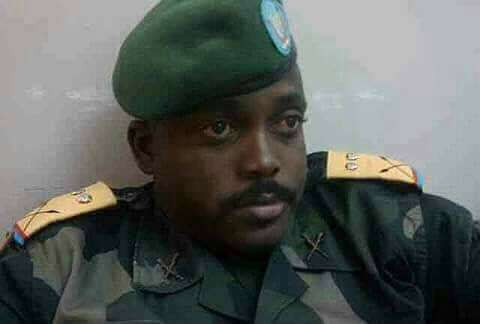 Currently Marie-Paul is installed as a FARDC Major in Tchomia, on Lake Albert, in the territory of Djugu, Ituri Province, with the mission to perform exactly the task that General Mundos assumes responsibility in Beni , that is to say the supervision of the massacres of civilians. 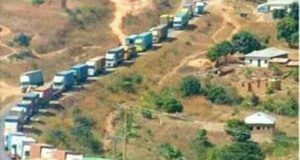 Benilubero Online has been alerted by military sources of the Congolese army that the Major holds a significant share of responsibility in the current tragedy in Djugu territory in Ituri. It is through him that the human and material reinforcements that come from the foot of the Rwenzori Mountains and the sites of the Hutu immigrants settled in the communities of Tchabi and Boga, in Irumu territory, south of Ituri, pass. The same sources insist that the Ituri massacres are rightly impregnating the areas surrounding the coastal strip of Lake Albert, because it directly and personally directs the plan of these massacres from its headquarters in Tchomia, exactly in the same area of ​​Djugu territory. Thus, the world makes a new experience of confirmation of two essential data related to the massacres that have raged in Beni-Ituri since 2014, in this case the allegations of the active participation of the M23 elements in this terrorist work (after wearing the mask of “alleged ADF”) while benefiting from the coverage of the regime in place (which remains the master of this book) supporting them with the logistics of the loyalist army.